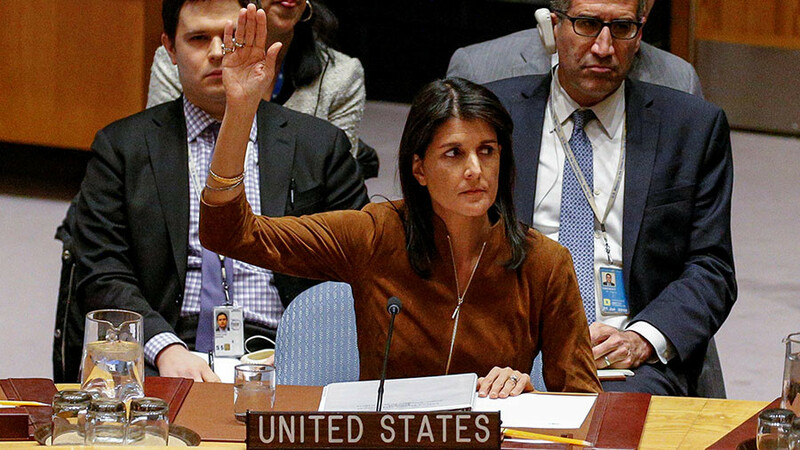 The US does not consider itself constrained by the United Nations Security Council and might seek “justice” in Syria on its own terms, the US representative to the UN, Nikki Haley, has said. The US took similar action in Libya in 2011. “With the unity of this council, or alone, unrestrained by Russia’s obstructionism, we will continue to fight for justice and accountability in Syria,” Haley said, blasting Russia’s vetoing of the draft resolution on the extension of the Syrian chemical weapons probe on Friday. The draft, proposed by Japan, envisioned the “technical extension” of the probe for another 30 days. 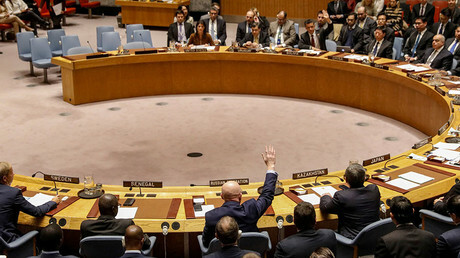 Explaining Russia’s decision to block the resolution, Russian UN envoy Vasily Nebenzya said that there is no sense in prolonging the mission if some glaring flaws in its work are not amended. "There can be no other way after the JIM’s [the UN-OPCW Joint Investigative Mechanism] leadership disgraced itself with its fictitious investigation into the sarin use incident in Khan Shaykhun and signed off on baseless accusations against Syria,” he said. Haley went on to accuse Russia of showing no flexibility in negotiating the conditions of the probe, claiming that Moscow had only “dictated and demanded” while the US had “incorporated elements of the Russian draft” into its own in the hopes of reaching a consensus. Russia vetoed the US draft on Thursday, with Nebenzya calling it “unbalanced” and solely designed to discredit Russia and its role in the Syrian settlement. Haley subsequently accused the Russian mission of ignoring the US delegation's attempts to contact it before the vote. Haley’s remarks on the impossibility of reaching the Russian mission provoked an angry reaction from Moscow, with Russian Foreign Minister Sergey Lavrov calling it “fake diplomacy.” Lavrov said that "it seems we are witnessing a new phenomenon in international relations, as now, apart from fake news, there is also fake diplomacy." The rival draft was co-sponsored by Russia and China, and “aimed at the extension and qualitative improvement” of the fact-finding mission, according to Nebenzya. However, it also failed, gaining the support of only four Security Council members. Russia has repeatedly criticized the UN-OPCW Joint Investigative Mechanism (JIM)’s report on the chemical incident in Khan Shaykhun as being filled with “omissions, inconsistences and contradictions.” It also says it does not follow standard procedures for an impartial inquiry as it relies on questionable testimonies provided by rebels and NGOs, some of which are suspected of links to terrorists. In particular, it pointed to experts’ refusal to visit the site of the attack despite security guarantees. In 2011, the US intervened in the region to curb the violence in the ongoing civil war in Libya. Under the pretext of a UN mandate to establish a no-fly zone in the country and save civilian lives, the US-led NATO coalition waged a full-fledged campaign that eventually resulted in the slaughter of former Libyan leader Muammar Gaddafi and multiple civilian deaths, the number of which varies from 72, according to Human Rights Watch, to more than 1,000 in unconfirmed reports. The country is still in tatters and the war involving tribes and militants is ongoing. 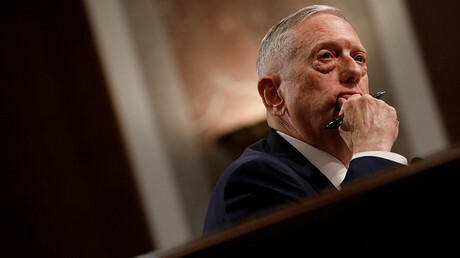 Despite the UN not giving the greenlight for a full-fledged campaign in Syria, US Defense Secretary James Mattis claimed that the organization sanctioned action there, justifying it with the struggle against Islamic State (IS, formerly ISIS/ISIL) terrorists. Damascus has repeatedly blasted the US for operating on Syrian territory without its consent and in violation of international law, and views the US presence as an invasion. The US is not likely to take any military action in Syria without UNSC approval, Robert Naiman, policy director at Just Foreign Policy and president of the Truth Out organization, told RT, commenting on US ambassador to the UN Nikki Haley’s statement. “Certainly, the US, like any other country, can take non-military action outside the scope of the Security Council: [it can call a] press conference, it can issue reports, they can do all kinds of things. The US is not, of course, allowed to take military action in Syria without the endorsement of the Security Council, and arguably, it is already in violation of international law for the military actions that it is taking because they have not been explicitly endorsed by the Security Council,” Naiman said.